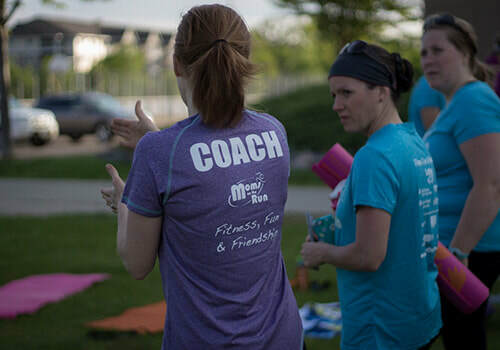 Perhaps you’re excited about coaching and motivating women to achieve higher fitness levels. Or maybe you’d like to be involved behind-the-scenes, creating a network of like-minded fit mamas. Either way, you can pursue your passion with Moms on the Run. We’re looking for women (not just moms) who are role models for fitness, who love to run and who enjoy encouraging others. Our team is prepared to guide you in creating a profitable program that lets you do what you love--while making a difference in the lives of others. Not quite sure if starting something from scratch is for you? We may have opportunities to assume ownership of some of our corporately held locations; please inquire. Our program is about women supporting other women (not just moms). We help busy women embrace fitness routines that fit their lives. ​We aim to spread Moms on the Run to women across the country, helping them lead healthier lives and model active lifestyles. We intend to inspire the next generation of healthy families. Depending on whether you choose a single-franchise or multiple-franchise opportunity, the initial investment will vary. Initial single franchise fees start at $4,450-4,950 based on location. Monthly service fees start at $215. ​Moms on the Run is ranked in the top 10% of Healthiest Brands by the Franchise Grade 500 for our low-risk investment! We understand that investing in a business opportunity is a big decision for you and your family. We’re happy to explore this possibility with you and see if it’s the right fit. ​If this sounds like an opportunity you may want to pursue, please fill out our informational request form today. 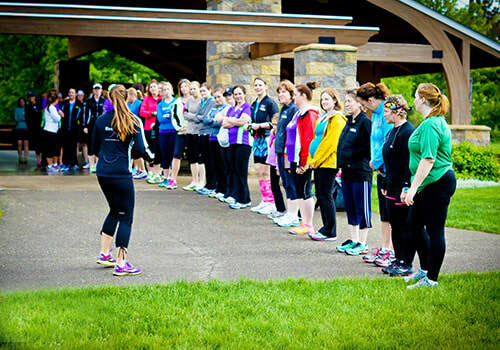 A little over two years ago, I took the risk and became the franchise owner of Shakopee Moms on the Run! It was the best decision I could of made going out of a full-time teaching position to a stay-at-home mom. We are a group of ladies of all ages, sizes, background and ability levels that support and motivate one another, not only in running, but in our personal lives as well. I am so glad I took a leap of faith and decided to do something I was passionate about! Being a personal trainer, I knew I wanted a way to inspire, motivate and educate women to find the joy in working out. When I became a franchise owner, I found this. I can set my work schedule while also being the mom I want to be to four young kids. I’m showing them you can truly have the best of both worlds, being a small business owner, staying healthy, and being there when they need me. I’m continuously reminded each time I go to ‘work’ why I love Moms on the Run. 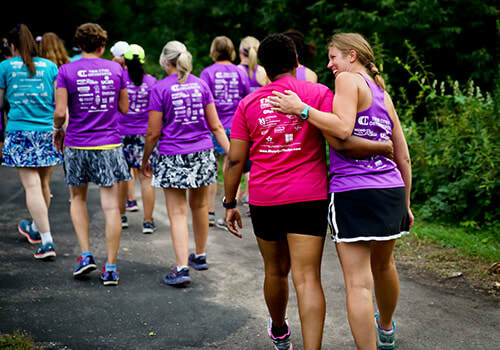 There’s nothing more rewarding than helping women reach their running and fitness goals. It’s great that I get to hire my coaching support staff. We’ve created a culture of fun and encouragement for all of our participants! Prefer to give us a call? Contact Shawna in Franchise Development at 858-344-4164. The general information provided on this site is not an offer to sell a franchise. Our business opportunity can be made exclusively through the delivery of a franchise disclosure document (FDD). Certain states require that we register our FDD before offering a franchise for sale. We will only offer to sell a franchise after we have provided a franchise disclosure document in compliance with all applicable federal and state regulations.